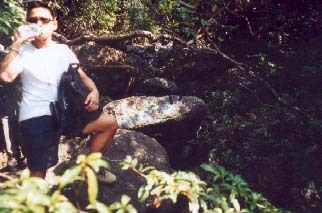 As its name suggest, this stream lies on the west side of Pai Ngak Shan (牌額山). This is a short and fun stream. It packs with a number cliffs and waterfalls. In rainy seasons, the waterfalls could be magnificent. Those cliffs and waterfalls are visitor-friendly. 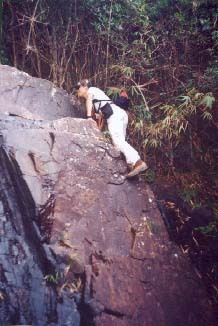 They do not take you in-depth rock climbing skill and tenacious courage. We are now gathering at the entrance of the stream. We have friends from UK, US and India joining the journey. 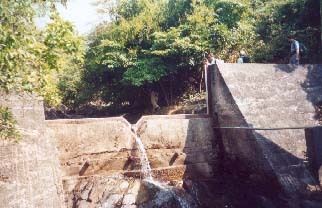 The entrance is guarded by the dam. There is a narrow passage beside the fence on the right of the dam. The end of the narrow passage is a concrete footpath. 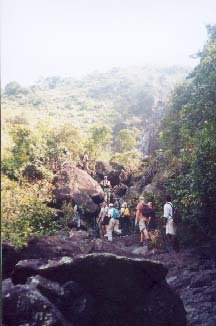 After a few minutes walking on the concrete path, you will discover a rocky slope on your left that takes you to stream. 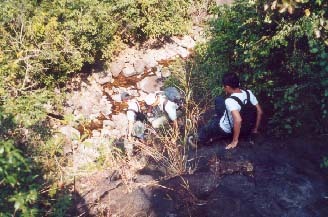 You will meet a small dam right after you have reached the stream. At this point, the stream splits. You should take a 90 degree right turn to continue the trip. Actually, there are many indication here to tell you to turn right. The highlight of the stream is waiting for you around this corner. The stream begins to reveal a series of bony cliffs which will transform to majestic waterfalls in summer time. 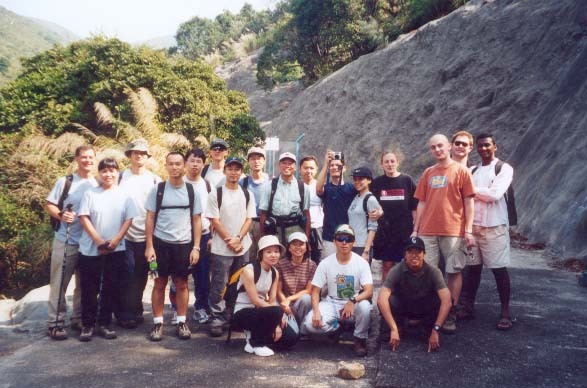 In dry seasons, the cliffs are pretty easy to be overcome. You could scale up the cliff on its left. Cliffs come one by one. Above this cliff is a wide "flat" open area with intriguing view. It is an excellent place for lunch and enjoying the placid wilderness. After your lunch, you will find the stream begins to get narrow. Don't worry, the stream is wide enough for comfortable trekking. After a while you will find a 4 meter rock wall blocking your way. You could take a path on the left to by-pass the rock wall. Or if you're confident enough, you could proof your agility by climbing the wall. As a matter of fact, it is not as difficult as it seems. Yet, great care should be taken for doing so. 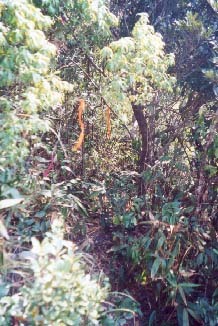 The last part of the stream is accompanied by pristine forest. Again, don't panic, the trek is still easily recognizable. 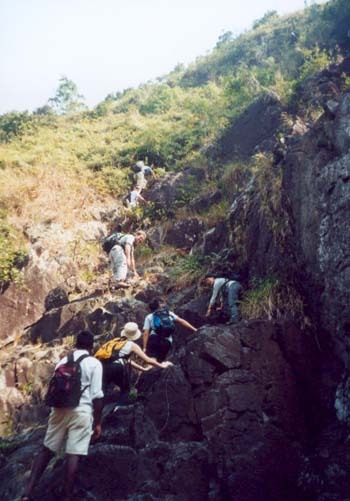 At this height, you will leave the stream and return to a open area with grassland and proper hiking trail.